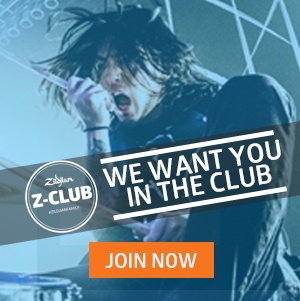 For over two decades now, Zildjian has enjoyed a relationship with the Grammy Foundation and we support their efforts to further music education. The Foundation selects students from high schools across the US to participate in the prestigious Grammy Camp Jazz Session during Grammy Week. These musicians are flown to Los Angeles to perform with Grammy winners and nominees for events during Grammy week celebrations and the drummers selected get to visit the Zildjian Artist Relations facility in Los Angeles to select cymbals. We may be biased, but we think that might be their favorite part!Grammy Camp participants are also eligible for more than $2 million dollars in scholarship money awarded each year. All of you musicians still in high school can get information on how to apply here. 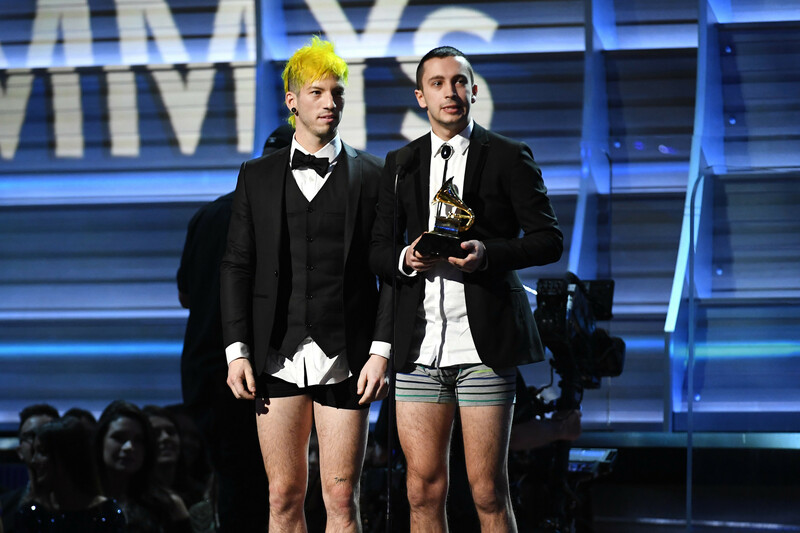 Music’s biggest night started strong, funny, inspiring and just a little weird when twenty one pilots’ Josh Dun and Tyler Joseph accepted their “Best Pop Duo/Group” award sans pants, delivering their humor and powerful message of “anyone, from anywhere, can do anything.” This was a perfect example of the appreciation, gratitude and inspiration that runs at the core of so many Artists. Following the musical mashup model of previous years, the show viewers got to enjoy pairings probably only to be seen at the Staples Center one Sunday in 2017. Lars Ulrich with his band Metallica and Lady Gaga lit the stage on fire (literally) with a performance of “Moth Into Flame” . 2016 was a year rife with loss in the music world and Morris Day led The Time, backed by Jellybean Johnson, through brilliantly funky renditions of “Jungle Love” and “The Bird,” paying homage to the legacy left by musical legend Prince. Fifteen years after being named “Best New Artist,” Alicia Keys once again took to the Grammy stage to perform with this year’s “Best Country Solo Performance” winner, Maren Morris. Backed by Zildjian Artist Christian Paschall, the newcomer and former Grammy Camp attendee and the fifteen time Grammy winner belted out vocals on a soulful rendition of Maren’s single “Once”. The evening was filled with love, laughter, mistakes, vulnerability and honesty… all the things of everyday life. And in the end the evening was all the more charming for it. Congrats to all the nominees and winners at the 59th Annual Grammy Awards! 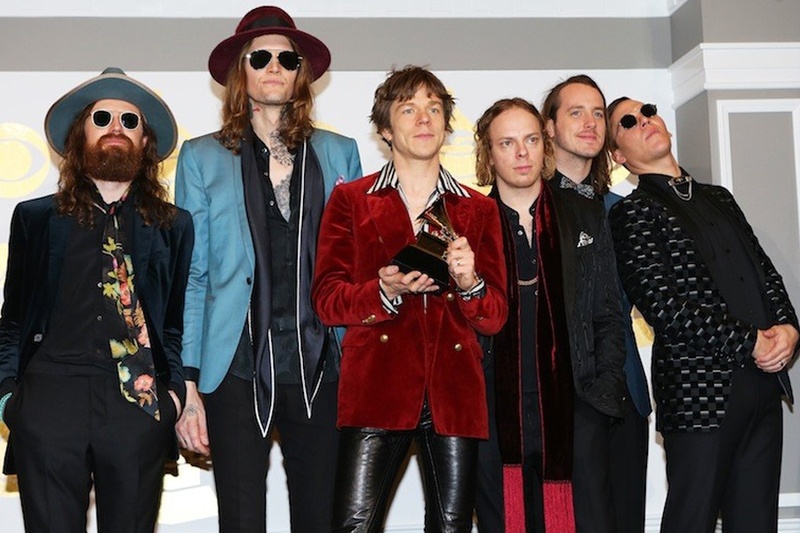 Jared Champion (Cage The Elephant- pictured above), Larnell Lewis (Snarky Puppy), Josh Dun (twenty one pilots), Bill Stewart (John Scofield), Third Coast Percussion (Steve Reich), Ashley Soan (Adele and Jesse & Joy), Christian Paschall (Maren Morris), Patrick Keeler & Venzella Joy (Beyoncé), Vince Wilburn Jr., Al Foster, Billy Hart, Max Roach, Kendrick Scott, Antonio Sánchez, Tony Williams (Miles Ahead), Ringo Starr (The Beatles). Like what you just read? Why not read more by subscribing to our blog! New Cymbals & Drumsticks for 2017!